World Mental Health Day is observed on October 10. Want to improve your mental health? Give swimming a chance. A new research reveals how this sport can help you beat depression and anxiety. A research in 2017 by a group of Chinese researchers also revealed how swimming benefits mental health and helps alleviate symptoms of depression. 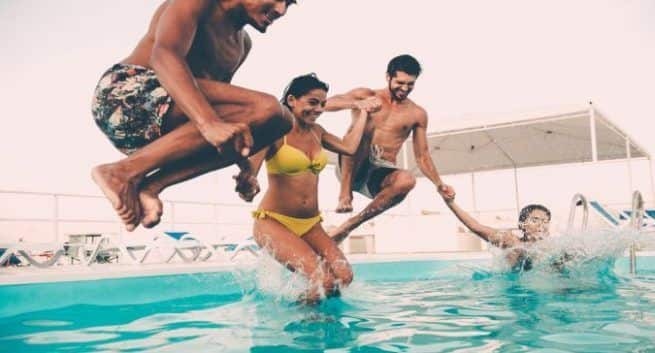 The study stated that swimming exercise has a positive effect on chronic unpredictable mild stress (CUMS)-induced changes in depression-like behaviours and hippocampal plasticity-related proteins, which provide a framework for developing new strategies to treat stress-induced depression. There are plenty of health benefits of swimming. Swimming targets all the muscles and is hence a whole body workout. Swimming makes your heart beat faster, improve lung capacity and blood circulation. Since there is the resistance of water, swimming helps build muscles without putting any pressure on the joints. This makes it especially good for people with conditions like arthritis, osteoporosis, any kind of bone or joint pains and even old people and pregnant women. Swimming combines cardio and strength training. There is every reason why you must start swimming immediately. Just keep in mind to get a coach who will teach you the correct ways of doing different swimming strokes.